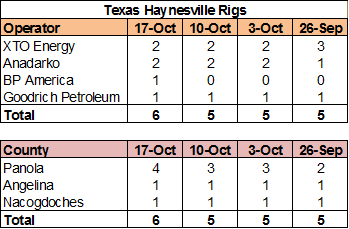 Last week's Haynesville Shale rig count was unchanged at 26. Louisiana was down one (EXCO) to 20, while Texas was up one (BP!) to six. 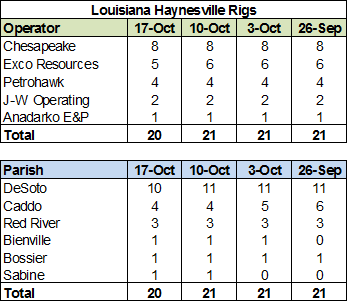 This week marks the first time BP has drilled a Haynesville well since July 2012. 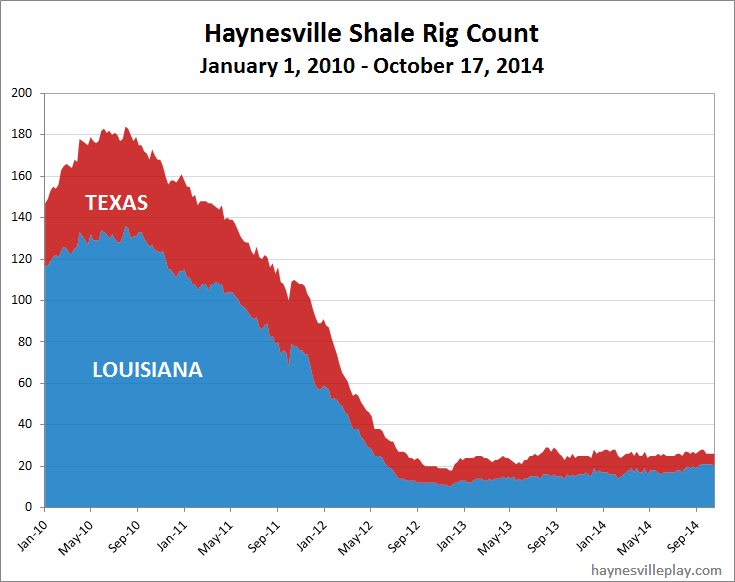 The company currently has three Haynesville permits in Texas with another one pending.